How long have I used Oddsmonkey? Oddsmonkey are a limited company in the UK with the trading name “Dotnetpages Ltd” whose company registration number is 07711804. They have been trading since 2011 and initially provided the oddsmatcher software and calculator to other companies to feature on their websites. 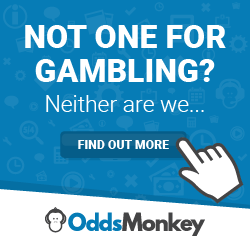 As the matched betting industry grew exponentially, Oddsmonkey readjusted to the increase popularity by changing their business model to offer people access to all the different types of software Oddsmonkey has developed in-house. Oddsmonkey has helped over 30,000 people since 2011 and is a market leader in the matched betting industry and earns revenue from its customers paying either a monthly fee (£15) or a yearly subscription (£150) to enjoy the services they provide. They also earn additional revenue from their affiliate marketing efforts from the many bookmakers and casinos out there. Their annual accounts for 2016 show them as having a net worth of £76.5k which suggests they are a financially strong company so there are no worries in using them or promoting them. This is my Oddsmonkey review, I hope you enjoy it! I have used Oddsmonkey since February 2017 and initially I didn’t use their service all that much due to me been on holiday to Barcelona. I got started properly with their service in March 2017 and in my first solid month; I earned £4,130.04. This is still my biggest month of matched betting profits and I really did every possible sign up offer/reload offer I could have done. I have enjoyed their service every single month I have used them and I have to be honest with you, they should charge a lot more than the £15 a month fee they currently charge. The value you are getting out of their premium membership is out of this world and in your first month, you could easily make £1,200 from using their service. This means you are getting 80 times the value in just a month! The good-old Oddsmatcher is what made Oddsmonkey famous when it first launched and is a unique piece of software which finds you the most profitable match at the simple click of a button. This software instantly tells you which bet to place based on how much profit you want to make and helps you reduce your qualifying losses easily as well enhancing your profits significantly. The software also has a very handy filter button which allows you to sort the software out by sports, markets, bookmakers, exchanges and it will allow you to set minimum and maximum odds. The filter button also finds matches so far in advance or the same day. This is very useful if you want to bet on an event today or tomorrow or in a week’s time. The software saves you so much time and let’s be honest, time is money! The amount of time it would take without this software would make it not so lucrative. The alternative would be finding matches manually, looking at the back odds on the bookmaker site, loading up the event on a betting exchange, typing in the odds into the calculator to see how profitable the match is. This simply would take too long and when you’re placing a few hundred bets a month, this can very quickly become annoying. In essence, this software is doing all the hard work for you so you can hit the bet button on the bookie site and exchange site and enjoy your profits. Earlier in 2017, the Oddsmonkey team created a very, very useful tool on their website called the Acca Finder. This for me is a game-changer as this software does a similar job to the Oddsmatcher, but for accumulators. Once you have done the sign up offers with all the bookmakers, one of the best ways to make money afterwards is through accumulator refunds. Most bookmakers offer acca insurance on their platforms so this software is very clever in that it quickly scans the bookmaker and calculates their back prices against the exchanges’ lay prices to determine which is the most profitable accumulator to do right now. So the accafinder enables you to use specific bookmakers, so if you wanted to do an accumulator with William Hill, you can select William Hill from the drop down menu and it will quickly find you the most profitable accumulator to do with them. It will also tailor to your requirements in terms of total odds, how many days ahead you want the acca to last and which exchanges you want to be able to lay at. Using this software must make me easily £500 a month alone! The screenshot above is an accumulator I have saved using the acca finder and it is so convenient how you can access it this way. I heard most people used to use spreadsheets when they did accumulator refund offers but using this software makes life so much easier and less administrative. Simply click “W” when a team wins and “L” when a team draws or loses and move on to the next leg. If two teams lose or draw overall then you are finished with the offer and can enjoy your profit. The button in the bottom left also enables you to receive email alerts on your accumulator. This is extremely helpful, especially when you’re on the go. If you forget that you need to lay a team off, this acts as a reminder to lay off the next leg in your acca. Most accumulators will make you on average £10 to every £50 staked which is awesome when you consider how many you can place in a month. If you do 50 accas a month, you can easily make £500 a month and that is not un-achievable at all! The most I have done in a single month to date is 268 and that was back in March 2017. The community Oddsmonkey has put together is really invaluable. Everyone is in the same position as you with a very common goal, to make money from matched betting. The community is a great tool to your matched betting arsenal as everyone had started as a beginner one day. Therefore no question is too silly or too complicated and with the Oddsmonkey staff also in the community, you can be sure that any questions you have or comments you make will be picked up by someone who is experienced in matched betting and can help you on the right track. The Community has over 500,000 posts so you can see that the community is very active and there is lots of information inside there to help you in your matched betting career.The community also has a great chat facility which means you can message people on the forums easily and get your questions answered in a more personal environment. The support on offer at Oddsmonkey is also very helpful. If you have a specific question to ask, the support team are always on hand to answer any question you have. Again, no question is too silly or too complicated so don’t hesitate in messaging them with your queries; I can promise you that they have helped me out several times along my journey. They get back to you very quickly via email too via their convenient ticket system. You also receive a complimentary 1-2-1 support call with one of Oddsmonkey’s experienced staff. This helped me with one of their matcher tools and as soon as I got off the call with them, I managed to make £21 so the call is very useful and also allows you to get specific questions you have that needs answering in real-time. They show you live on their screen how to do specific tasks which will quickly put you on the right path. Oddsmonkey have spent a lot of time and energy in putting together an excellent teaching platform for you to learn all the techniques involved in matched betting. The guides are written and some are in video which makes the learning process a fun one and also helps you learn all there is to know. They have also split their training into specific sections depending on which area you want to focus on. So whether you want to learn how to do an accumulator refund or simply getting started, the training guide is there to teach you all the concepts. Learning all the methods and concepts is what makes matched betting risk-free as without it, it becomes more risky. I once heard a rich man say, “Risk comes from not knowing what you are doing” and it is totally the case with matched betting. The only real “risk” comes from not knowing what you are doing and human error. Thankfully, Oddsmonkey has put together a great training section together to ensure everything you do is calculated and risk free. Oddsmonkey are always seeking ways to make their customers’ experience more convenient. Earlier in 2017, they introduced their Betfair integration which basically allows you to link your Betfair account to your Oddsmonkey account saving you hours of precious time each month. Instead of having to login to your Betfair account all the time, enter the lay stake you wish to lay and then actually place the bets, the Betfair integration allows you lay the selection directly from Oddsmonkey. I don’t actually use this regularly as I use Smarkets to lay off all my bets so hopefully they do the same with Smarkets in the future. Imagine getting paid for trying out a service, you’re probably thinking that would never exist. Well you are wrong. Oddsmonkey offer a free trial that makes you money just for giving it a go. The free trial consists of two new bookmaker sign ups with Coral and Betfred which should make you £45.00 come the end of the free trial. That’s right; you will earn £45.00 just for trying out matched betting with Oddsmonkey. The free trial walks you through the process step by step and with videos to ensure you fully understand how the process works and that you understand what you are actually doing. The support team are also on hand to help you with any questions you have during your free trial, so you really cannot go wrong during your initial experience with matched betting. Oddsmonkey has put together a fantastic service for everyone to use and to make money from each and every single month. I pay £15 a month to use their service and I really don’t miss the £15 going out of my bank account each month as the returns from that £15 are 100 fold each month. I have never come across any product that allows you to generate 100 times the cost in profit each month but with Oddsmonkey, their great product features and service allow you to do just that. I can assure you that after using Oddsmonkey for the most of 2017, that it is definitely not a scam and it will actually make you money provided you learn the process and ensure you are meticulous in your calculations. From March 2017 to the end of September 2017, I have made £13,816.91 from using Oddsmonkey. This is just under £2,000 a month on average tax-free. This is thanks to Oddsmonkey and all the features their service provides. Had I not used Oddsmonkey, my matched betting profits this year would have been significantly lower. Whilst it is good to make this sort of money for not much effort and in the comfort of your own home, it is important to know that there is more to matched betting than just making money. I receive extra value from Oddsmonkey in many other ways. Their website is easy to use, their software is easy to use and their staff are easy to speak to and are always happy to respond to my queries. All the convenience I get from using Oddsmonkey saves me so much time which for me in very important as it allows me to enjoy life more and focus on other aspects of my life. Overall if you are going to start matched betting, make sure you start it with Oddsmonkey.